Warren Buffett is the man. The Oracle of Omaha has been quoted and mirrored for decades. When he makes a call about a stock, the world sits up and listens, be it a long time bullish position in Coca-cola (KO) or an eyebrow raising stake in International Business Machines (IBM). While he does make some shorter term plays, for the most part, when Warren Buffett buys into a stock, he holds on to it and watches the stock increase in value over time – after all, most stocks will increase in value if held long enough thanks to inflation. 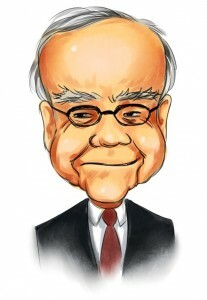 Many of Buffett’s picks pay dividends as well, further adding to the upside. A perfect example of this is Wal-Mart (WMT). Wal-Mart is one of the largest positions in his portfolio. As of December 31, 2011, Buffett’s Berkshire Hathaway had over $2.33 billion invested in the company – and he isn’t alone in his enthusiasm. Wal-Mart is also very popular amongst the 350+ hedge funds we track. There were 42 hedge funds with Wal-Mart positions in their 13F portfolios at the end of last year. Besides Buffett, Boykin Curry, Ken Fisher, Jean-Marie Eveillard, Cliff Asness, and Tom Gayner were also bullish about Wal-Mart. So, what is it about Wal-Mart? Is Wal-Mart a good investment? Or, is it just a long position that will pay off only for those that bought in early? In the following paragraphs, we are going to discuss Wal-Mart in detail and decide whether investors should adopt positions in the company. Wal-Mart operates both domestically and internationally. Over the past year, the company’s sales in US were about $264 billion, with $126 billion coming from international sales. We expect those numbers will increase considerably over the next couple of years, thanks to economic uncertainty (people are trying to save their pennies) and growing demand in US. Wal-Mart is expanding and improving the selection of merchandise in its domestic stores, while, at the same time, implementing an aggressive pricing strategy. We believe these actions will increase the number of customers and boost the average transaction sizes. We also think Wal-Mart will experience strong growth in its international business. The company is planning to shift its business from domestic markets to international markets in 2012. Wal-Mart operates nearly 1 billion square feet globally, and it has been focusing on increasing the square footage. Historically, the company grew its square footage by at least 8% per year. In 2012, the company announced that it plans to slow the square footage growth in the US market and accelerate the growth in foreign countries. It also decided a few years ago to refocus on maximizing returns on invested capital rather than maintaining the 8% growth target. This shift in the focus will lead to lower capital expenditure, as Wal-Mart will not add a new warehouse for a location until the volumes of that store is maximized. As the capital expenditure is lower, we think the company will be able to use its cash flows to make acquisitions, raise dividends, and repurchase shares. One of the ways Wal-Mart is growing is through acquisitions. Wal-Mart bought South Africa wholesale and retail operator Massmart and United Kingdom operator Netto Food Stores Limited in 2010. It also purchased Bounteous Company Limited in late 2007, an operator of over 100 hypermarkets in China. These acquisitions drove Wal-Mart’s recent international growth and will likely continue to do so going forward. We expect Wal-Mart will continue making acquisitions internationally over the next few years to further boost its growth in the global markets. In addition to growth, Wal-Mart has an impressive dividend to consider. While the actual yield of dividend is just 2.6% – decent but not extraordinary – its track record is. Over the past 37 years, Wal-Mart raised its dividend payments every year, most recently moving in 2011, from a quarterly dividend of $0.3025 per share to $0.3650 per share. We believe Wal-Mart still has the ability to further raise its dividends in the future. The company’s earnings are expected to grow at over 10% per year over the next couple of years. This means Wal-Mart will be able to increase dividends as long as the company keeps its payout ratio constant. The company’s low payout ratio of 32% also indicates that it has the capability to maintain or increase its dividends even if Wal-Mart’s earnings fail to grow as fast as expected. We are also encouraged by the company’s share repurchase history. In June 2011, Wal-Mart announced that its board of directors has approved a new share repurchase plan of as much as $15 billion worth of its shares. The buyback plan replaced its previous $15 billion repurchase, which was announced in June 2010. Under the previous repurchase program, Wal-Mart has bought back nearly $13 billion worth of shares. Obviously, the active share buyback program will boost Wal-Mart’s EPS and benefit the shareholders. Wal-Mart looks relatively undervalued compared with its peers – Costco Wholesale Corporation (COST) and Target Corp (TGT). Currently, Wal-Mart is trading at $61.14 per share. The company made $4.48 per share over the past 12 months, so its current P/E ratio is 13.6, versus 13.7 for Target and 25.4 for Costco. Analysts expect Wal-Mart to make $4.85 per share in 2012 and $5.29 per share in 2013. Therefore, Wal-Mart’s P/E ratio for 2013 is 11.6, versus 12.1 for Target and 20.9 for Costco. While Costco has an earnings growth expectation of 14%, which is relatively higher than the 12% for Target and the 11% for Wal-Mart, we do not think the price premium is worth paying. Target is positioned similarly to Wal-Mart – it also has a dividend yield of above 2% and has been raising its dividends for 44 consecutive years – but we think that Wal-Mart is the better deal. Hedge funds seem to agree. Of the 350+ hedge funds we track, more hedge funds were bullish about Wal-Mart and Target than Costco. There were 34 hedge funds with Target positions in their 13F portfolios at the end of 2011, versus 26 hedge funds for Costco. Is Wal-Mart A Good Stock To Buy Right Now? Is WalMart A Good Investment?